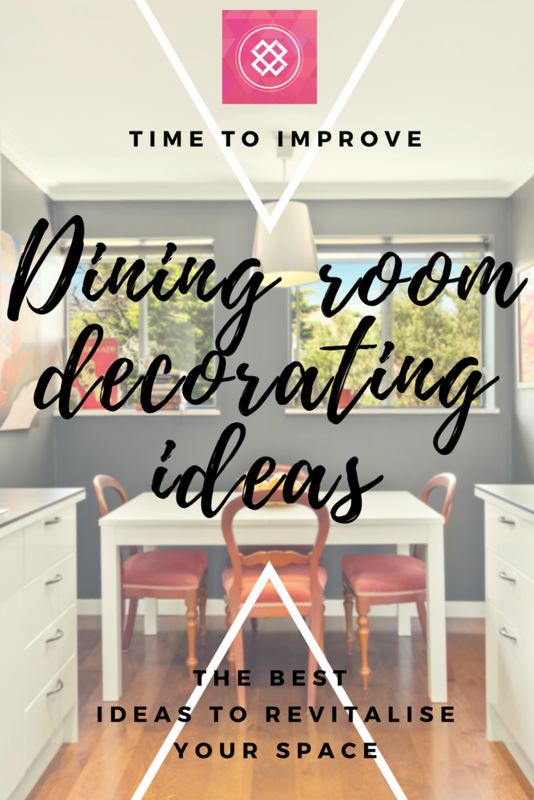 Dining room decorating ideas to take your space to the next level…. 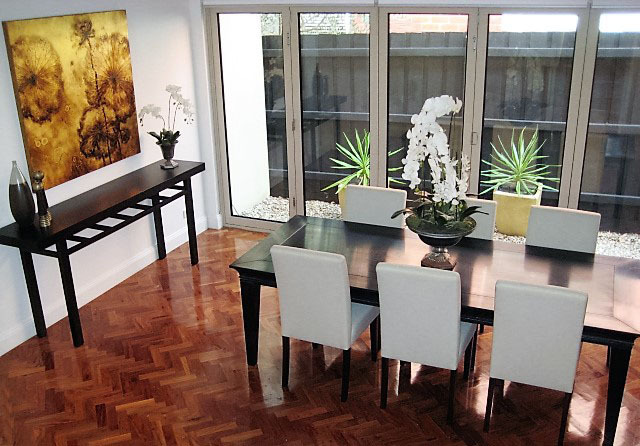 Dining rooms can often be hard to decorate and lack in depth of character. In open plan living rooms the dining space is even harder to define and decorate again. The dining table and chairs can look as though they’re floating away and not really adding to the area, just something that has been plonked down. Ready to take your dining space to the next level? Read on for my best dining room decorating ideas…. 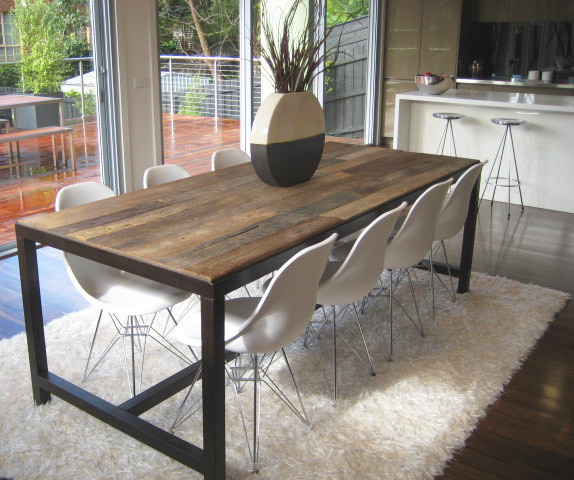 Is your dining room/space suffering from the floating dining table syndrome? The best way to fix it is to define the space and ground the table by adding an oversized rug. The rug needs to be big enough to allow the chairs to sit fully out from the table and still be sitting on the rug. Think big! About a minimum of 1m rug each side of the table should do the job. This floor rug breaks up the space so the table isn't lost on the dark flooring. Styled by Leeder Interiors. In an open plan environment, dining areas can sometimes look like they are just an afterthought, plonked next to the sitting area. The floor rug will be help considerably, but the next best thing to define the space is a statement pendant over the table. I often see small, flimsy pendants that are just way too small over large tables. Ideally a long pendant that will shadow about 2/3 of the length of the table would work best or a series of individual pendants grouped together. An option is to add a moulding detail around a pendant on the ceiling which almost becomes like a picture frame and again shadows the shape of the table. This moulding option would suit homes with period details and traditional sensibilities. 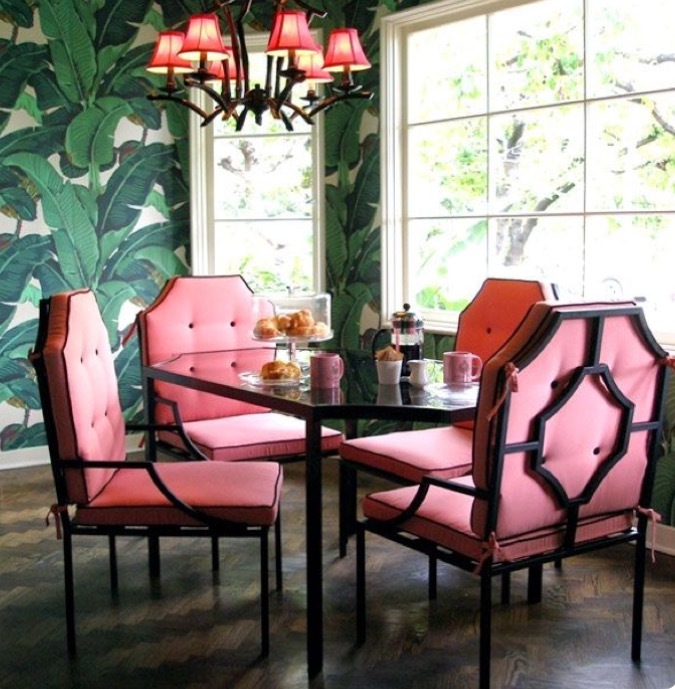 An effective way to add interest to a dining setting is to mix up the chairs. On a rectangle or oval table, change the 2 chairs at the ends to a totally different style. Or if you want to keep the theme the same or similar, use the same dining chair but with the addition of arms which will visually bulk up the space. When dining chairs are fully upholstered (inside and out) it can look like a sea of the same fabric. Another option to consider is changing the fabric on the outside of the chair to a striking colour or pattern which can be just the antidote to boring that you need. If you have a standalone dining room (not many of us do any more unfortunately) your scope for decoration is much broader. This is where you can have some real fun and take the space to the next level. Think bold paint colours and wallpapers that will envelope the space and you’ll feel so snuggled and contented you’ll be throwing dinner parties every week! Think about how fine dining restaurants are decorated and how they make you feel? You’re most likely in darkened, moodily lit, cosy space. The seats are comfortable, the lighting is flattering and you’ll happily while away an evening with a feeling of contentedness. This dining room still feels spacious and homely with the addition of the console table. Styled by Leeder Interiors. This next idea is not for everyone, but I personally love it. I’m currently sitting on my inherited antique dining chairs with turned legs, pink velvet and curved back. I also inherited the matching round table but that’s too matchy matchy for my liking. My apartment is quite eclectic, so I’ve got a modern white Ikea table to finish the look. When I carry out property styling, even though I may be styling a traditional/period style property, the real estate agents want the property to appeal to the masses. Enter a mix of old and new. 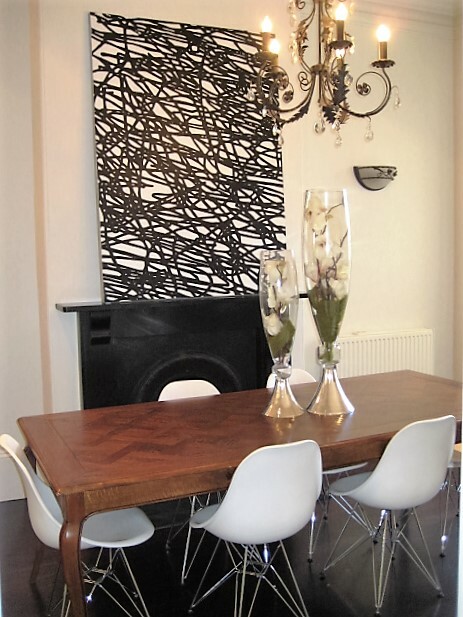 Think Eames Eiffel chairs with marquetry timber table. Marquetry table and Eames chairs. Space styled by Leeder Interiors.